Our home was built 14 years ago on a mountainside, designed by us in a modern and unique architecture, with glass, iron and local stone. This home is comfortable, clean, and spacious. This is a house full of light and greenery in the highest standards possible. It has three floors. In the lower level you can find my offices, with a main working study and another 3 rooms, one of them an extra bedroom. It is elegant furnished and equipped with 3 PCs, and all necessary office equipment. This level is attached to a beautiful garden. On the main leaving level we have an open space modern kitchen, dining area for 18 guests and a leaving room divided into 2 parts which can comprise 30-40 people easily. On this level is also the master bedroom. (We are afraid that only this particular room will be kept close during our absence.) The whole floor is surrounded with top to bottom sliding glass doors facing a big flourishing garden. 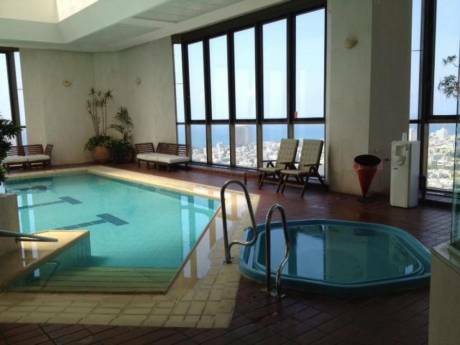 On the upper level we have 3 fully furnished bedrooms with 2 bathrooms and a big terrace facing Judea hills. The house is maintained regularly by a maid and a gardener. We, Niza and Yuval, are married for almost 43 years, parents to 3 magnificent persons (2 daughters 1 son) how blessed us with 10 grand children. Niza was managing the editoring department of the the Israeli Open University, now retired with endless responsibilities and interests. Yuval is a professional marketing strategist, with world wide consultancy activities and customers... and is a serious amateur chef, running a TV show on cooking and eating. we are both active in social life, members of the local Rotary club and other organizations. 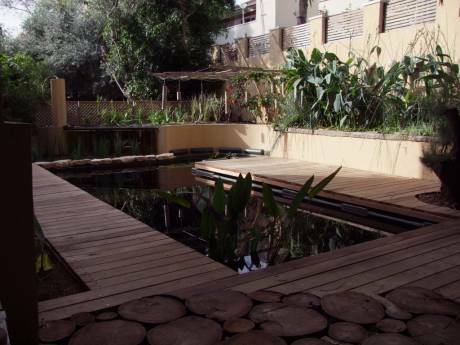 Our home is located in the center of Israel whilst still keeps the calm and tranquil ambiance. 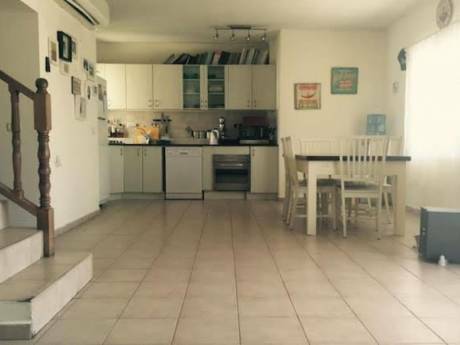 We are living 15 minutes drive from downtown Tel-Aviv, 5 minutes from the sea shore, 3 minutes drive to the train station, shopping malls ect. Herzliya was founded in 1924 on land inhabited for some 3,000 years by Cananites, Phoeniciens, Persiams, Philistines, Israelites, Romans, Byzantines, Crusaders and Ottomans. You are treading on historical grounds with every step. The ruins of the ancient town and harbor, within walking distance from our home, tell stories of times long gone by in a most picturesque setting. The area of Herzliya, in the Biblical Sharon Valley of to-days Israel, was an uninhabited wasteland and sand dunes during the last centuries. Industrialization and building have changed Herzliya into a center of High-Tech, Industry and Tourism, as well as the center of the diplomatic community in Israel. Orchards still remain a feature of the surrounding countryside and Its beaches comparing with the finest anywhere. Our climate is pleasant; mild winters, rains from December through February, a lovely spring, followed by a quite warm summer, and a pleasant autumn. The population comprises of business executives, professionals, tradesmen, skilled workers, senior citizens, people from every walk of live.